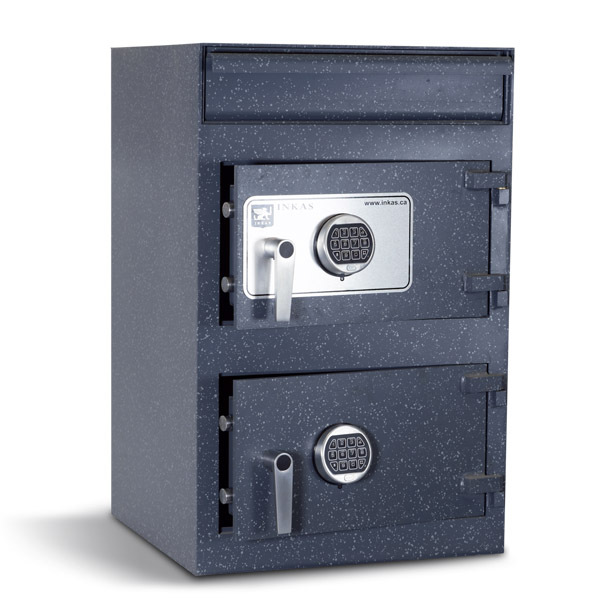 If you need to keep cash on hand in a safe and secure location, INKAS® Safe Manufacturing has a variety of options to suit your needs. 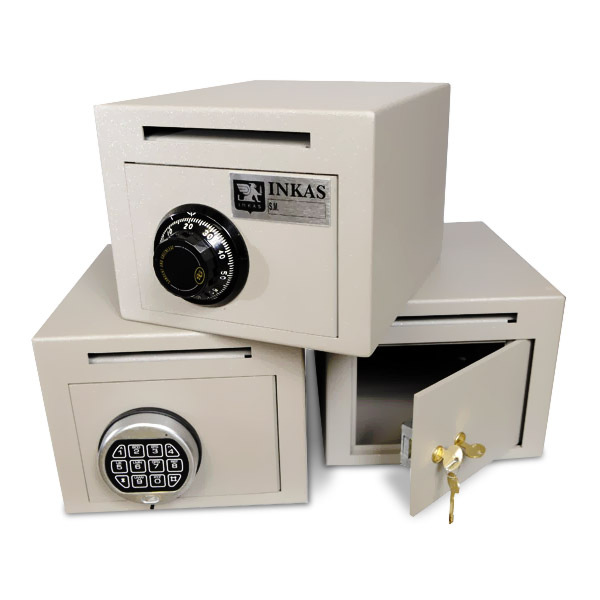 INKAS® cash depositories are built for commercial cash handling and are ideal for banks, financial institutions, residential use, and retail outlets. 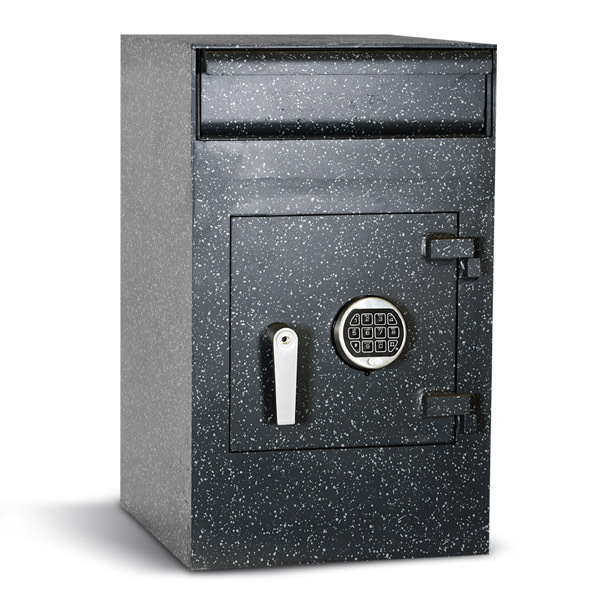 We offer rotating cash hoppers, under-the-counter, single, and double-compartment depositories, but we are happy to provide our customers with custom solutions if required. Our wide range of depository options means it is simple to find a safe to meet your requirements. 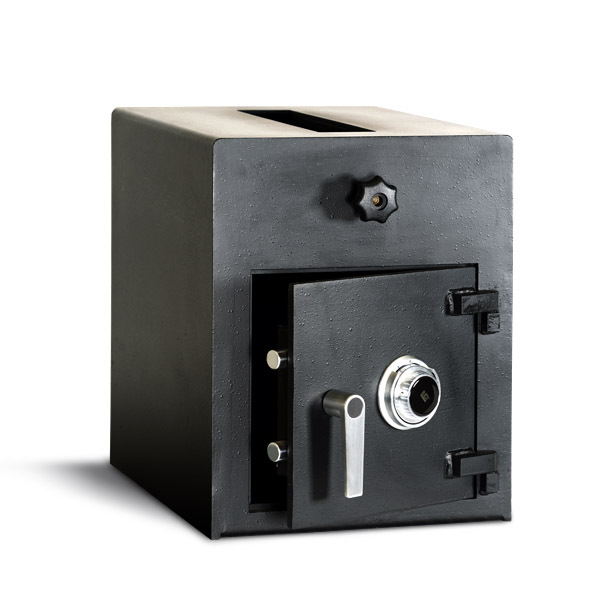 Whether you are looking to store currency in your home or office, or you require a method to manage daily cash deposits securely, it’s important that your cash depository is well-equipped with anti-fishing mechanisms and relocking features. 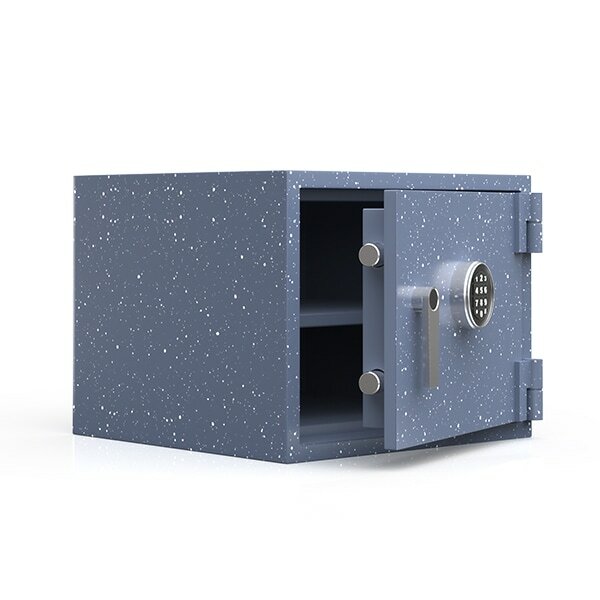 This will protect you from any attempt to retrieve items through the deposit tray and keep deposits safe from theft. With such a variety of features to consider, take the time to talk to an INKAS® representative to fully understand the differences and similarities of each safe and find the best fit for your home or business.